Spring is all about making meals with seasonal fruits and vegetables. One of those seasonal guests is rhubarb. Many markets will be carrying this red plant during the spring and sometimes through the summer. Used in jams, pies, and sauces, this popular food item is commonly grown across Canada. But do you know that often mistaken as a fruit, rhubarb is actually a vegetable? There’s much more to this versatile veggie. Let’s find out. 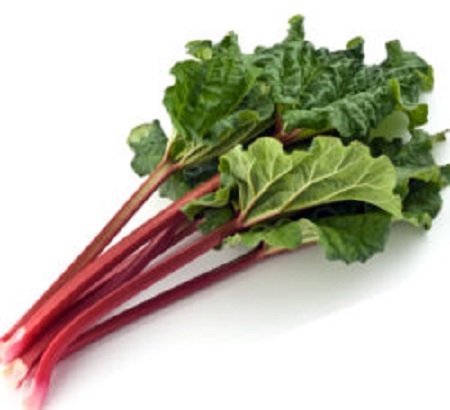 Rhubarb is an herbaceous perennial that originates from Central Asia. It grows from rhizomes, thick and short underground stems. Its leaves are poisonous due to oxalic acid, but the leafstalk is edible. The fleshy stalks are a reddish-pink colour and the shape is similar to celery. It has a sweet and tart taste rich with flavour. There are two types of rhubarb, hothouse and field-grown. The former is grown in a hothouse and is available in grocery stores. The latter is grown by farmers and can be purchased from farmer’s markets. This red veggie is packed with nutrients such as antioxidants, calcium, potassium, and vitamin C and K. It contains 45% of the recommended daily amount of vitamin K needed by an average adult. It is also loaded with anthraquinones (naturally occurring phenolic compounds) that give it laxative and cathartic properties. The best part is that it only contains 26 calories. In the past, rhubarb was used a medicinal plant in China. Its root was used as a laxative for many years. During World War I, it became a popular vegetable as other vegetables were not available. This multipurpose veggie can be used in both sweet and savory recipes. You can eat it raw as well. You can make delicious rhubarb jam by cooking it with water and sugar for 10 minutes. When it comes to rhubarb sauce, it tastes great when combined with waffles, wheat pancakes and yogurt. Apart from pie, the sweet taste of this healthy veggie can be perfectly paired with cakes and muffins. It can also be used as a filling in pies, cobblers, crisps, etc. after tempering its sourness with sugar and cornstarch or flour. You can give a savory twist to pork dishes by topping them with rhubarb sauce seasoned with garlic, ginger and Chinese 5-spice powder. Another excellent dish is rhubarb cranachan, a Scottish dessert, made with poached rhubarb, whipped cream and whiskey with a crispy oat topping. In short, rhubarb is rich in goodies for your body, while still packed full of taste. It is healthy, tasty, nutritious and versatile. If you have underestimated the importance of this tasty plant, then it’s time to give it another.